Created by MerchantPlus, the NaviGate Payment Gateway offers a fast, easy-to-use and powerful platform to process credit card transactions. Powerful API and Compatible with Authorize.net â€“ NaviGate works with thousands of third party scripts and shopping carts by offering an emulation mode for the popular Authorize.net Advanced Integration Method API. Â Â Read our full online developer documentation here. Multiple User Support â€“ NaviGate allows multiple users within an organization with comprehensive logging features. This allows a company administrator to limit access to specific transaction types providing an audit trail that can link any action to any given user. Control Fraud with Custom Security Settings â€“ With full CVV2 and AVS, NaviGate arms you with the tools you need to transact with safety and protect against costly chargebacks. 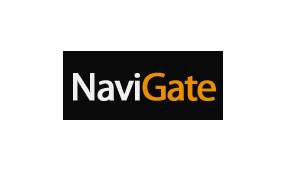 Compatible with Todayâ€™s Most Popular Shopping Carts â€“ Please visit NaviGateâ€™s supported shopping cart list to see if your cart is supported. More carts, billing systems and applications are added each month! Powerful Virtual Terminal and Realtime Reporting â€“ NaviGate allows merchants to seamlessly integrate with their websiteâ€™s checkout process or use a free payment script for online purchases. Â A virtual terminal allows MOTO (mail order/telephone order) transactions to be manually entered over the web with a 3 second approval time. Demo the gateway for free byÂ contacting the MerchantPlus Support at [email protected] to obtain a test login!